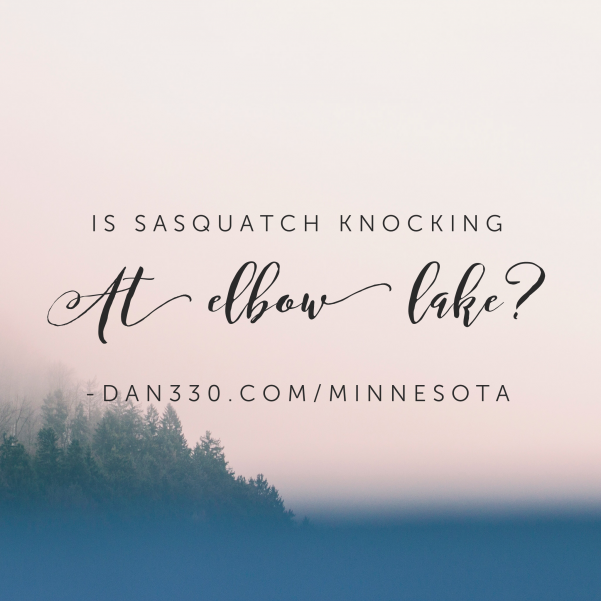 This article takes a quick look at the idea of Sasquatch in the Lake Vermilion area. This area is in the Northernmost part of Minnesota south of Voyageurs National Park and west of the pristine wilderness of the BWCA. 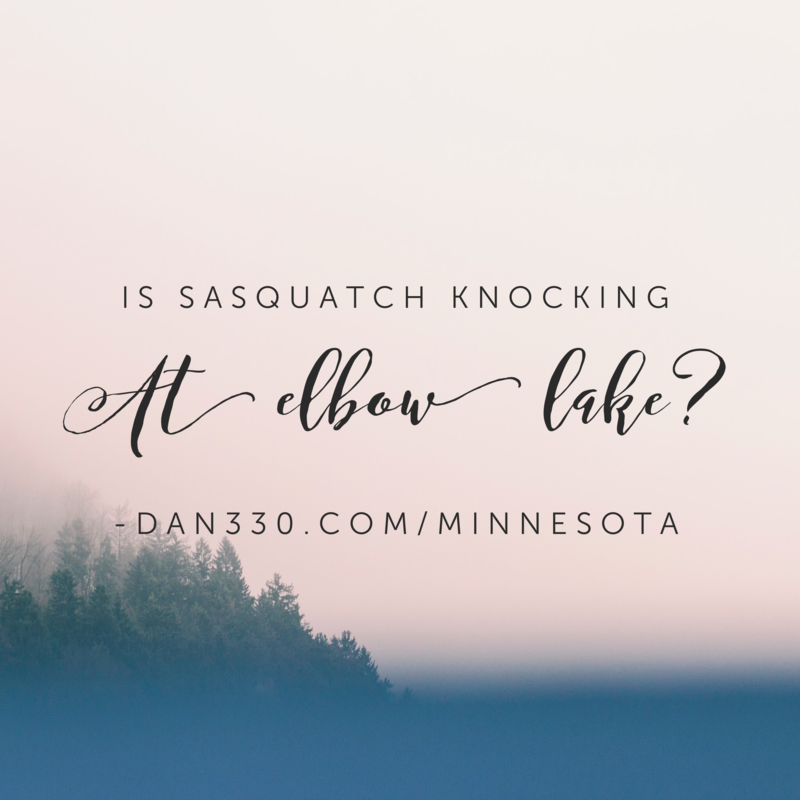 Is Sasquatch knocking around Elbow Lake and the Lake Vermilion area? Not often spoken of because of the stigma of believing in Bigfoot, but there are plenty of strange noises and strange sightings around Elbow Lake. There is plenty of food sources for them. The area is abundant with deer, and other small animals that provide protein for such a large primate. There are also berries and plenty of vegetation for them to survive on year round. It is not a stretch at all that a family of Squatch could live here comfortably. Any Squelch would have territory galore. Elbow Lake is in the massive wild forests of Northern Minnesota and southern Canada. Just to the north is Voyageurs National Park and just to the east in the BWCA. Both are pristine wilderness areas. If there was anywhere in the lower 48 that could conceal a population of these great apes, this would be it. People ask me, “Why don’t we see them around Elbow Lake more?” Think about this, the lake is surround by this wilderness and for the most part humans are primarily only near lake shores, roads, and on the water. Massive areas of inland forest and swamps are free for them to roam without most of us even think about them. I have never seen a Lynx, or a Bobcat around Elbow but we know they are all over the area. In fact the wolf population is enormous, but I will go for years without ever seeing one. It is not hard to understand how a much smarter primate would be able to hide in such a dense and remote wilderness even that much more easily. Ok, so it is at least plausible that a healthy, consistent population of Sqatch can live around Elbow Lake. But what really convinces me are the strange sounds from deep in the woods. I have grown up in the woods and I have a good sense of how animals react to predators. The warning calls from red squirrels and caws of crows are unmistakable. But what is very troubling is when it goes silent and you can hear knocking. I’m not talking about the tapping from a pileated woodpecker. That is a very fast tap-tap-tap. I’m talking about the sound a small or medium sized tree makes when it is smacked with a large branch. 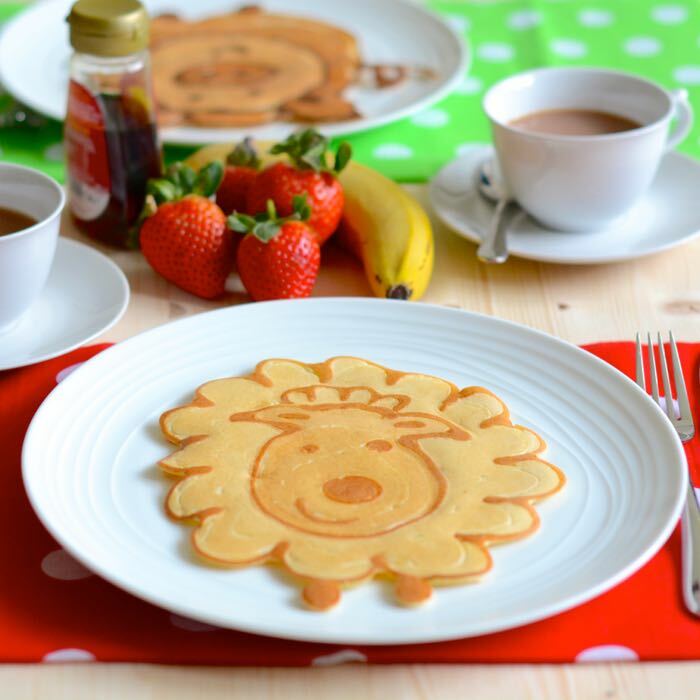 What could make that?! There aren’t other people up in the woods just out smacking trees. To pick up a large branch you need opposable thumbs. If you listen out in the woods, you might hear the distant crack from a Sasquatch knock and seconds later hear a response from another direction. It’s super creepy. If you are lucky enough to be out in the woods when you hear it, hunker down and try to get a picture. You could just be the next Roger Patterson or Robert Gimlin. If you want to come visit and check this out for yourself, check out our Minnesota vacation page here.